For the first time in well over a century, the city of Durango will rely exclusively on the Animas River for its water supply throughout the winter. “There’s always a first time for everything,” said Steve Salka, the city’s utilities director. Normally, the city supplies its reservoir in the winter solely from the Florida River, a waterway further east of town, which Salka said is the preferred option. Water from the Florida River is diverted through a gravity driven nine-mile pipeline into the city’s reservoir near Fort Lewis College, whereas water taken from the Animas River must be pumped uphill from the intake at Santa Rita Park, a more costly endeavor. However, while the Bureau of Reclamation performs overdue maintenance on Lemon Dam, which bottlenecks the Florida River about 14 miles northeast of town, the river will be reduced to a trickle of about 3 cubic feet per second. That’s not enough to pump into the city’s reservoir, Salka said. Instead, the city will use the Animas River to maintain the reservoir’s capacity of 90 million gallons to meet the population’s demand of about 3 million gallons of water a day. That’s all made possible, he said, by the timely and recently finished $1 million project that altered the flow of the Animas River near the Whitewater Park, diverting a significant portion of the river directly into the city’s intake. 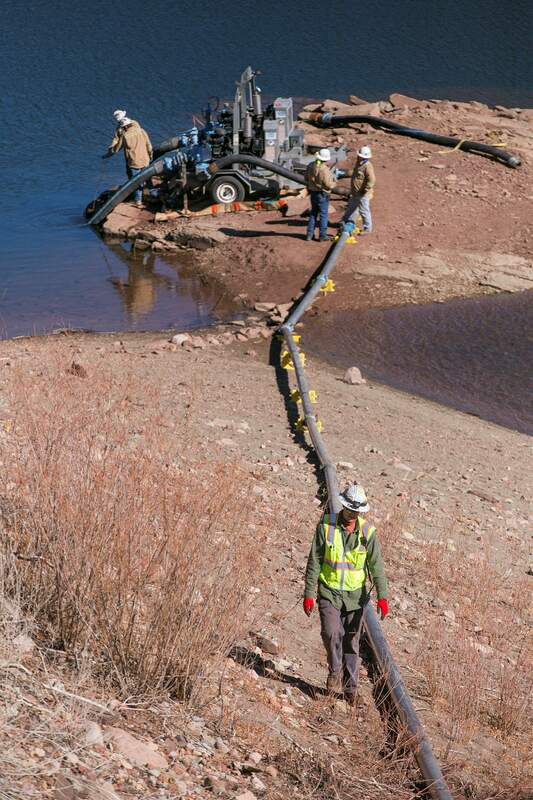 “That’s why we did all that work on the Animas River before they started their project: so we can pump during the winter if we need to,” he said. Water historyThe city of Durango started using the Florida River as its primary source of water in 1902, after miners further upstream in Silverton refused to stop dumping mine waste into the Animas River, which flows directly through town. But the city was forced to draw from the Animas River as the town’s population sharply increased after World War II. According to the U.S. Census, Durango’s population went from about 4,000 in 1920 to more than 10,500 in 1960. “That’s when the real pressure mounted on water,” Smith said. In recent years, with Durango’s population nearing 19,000 residents, the city uses more than 8 million gallons a day at the height of summer, Salka said. Despite the Animas River’s higher concentrations of heavy metals, it’s not more expensive to treat the water, and consuming it does not pose any health risks, he said. Worst-case scenario, Salka said, the city would contact the Bureau of Reclamation and ask to release more water out of Lemon Reservoir. Lemon Dam repairsTyler Artichoker, facilities manager with the Bureau of Reclamation, said work at Lemon Dam should be completed by March, at which time, flows will return to 10 to 11 cfs, the usual release rate during the winter. The $1.3 million project will replace four high-pressure gates inside the dam that are the original pieces installed when Lemon Dam was built in 1963. 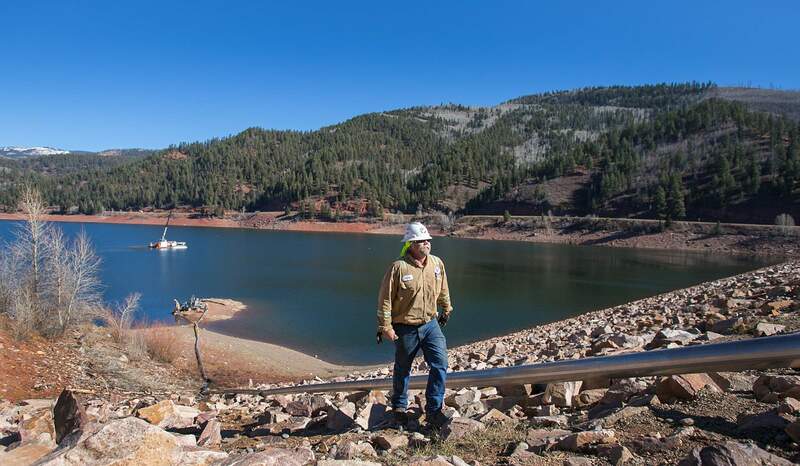 The work has nothing to do with dam safety, Artichoker said, but it will allow crews to inspect other parts of the system that are inaccessible when in operation. Joe Lewandowski, spokesman for Colorado Parks and Wildlife, said although “no doubt there will be fish mortality,” this is the best time of year for the water level to be brought down. Lemon Dam is part of the Colorado Water Storage Project, capable of supplying water for 19,450 acres of irrigated land. The earth-fill structure has a height of 284 feet and a crest length of 1,360 feet. And the reservoir itself has a capacity is 40,146 acre-feet. Tom Fiddler, a commissioner with the Colorado Division of Water Resources, said the senior waters rights on the Florida belong to the city of Durango and then the various irrigators along the waterway. He said before the Lemon Dam was built, the river dried every year because of increasing demands. When the dam regulates on a normal operating schedule, at least there’s some water left in the river for a fish habitat, he said. Corby Konkel with Rain For Rent of Cortez helps pump water over the Lemon Reservoir Dam to maintain flows in the Florida River on Wednesday. The Bureau of Reclamation has begun rehabilitating the dam’s high-pressure gate. A contract crew operates pumps to maintain flows in the Florida River from Lemon Reservoir on Wednesday during the initial phases of rehabilitation of the dam’s high-pressure gate. 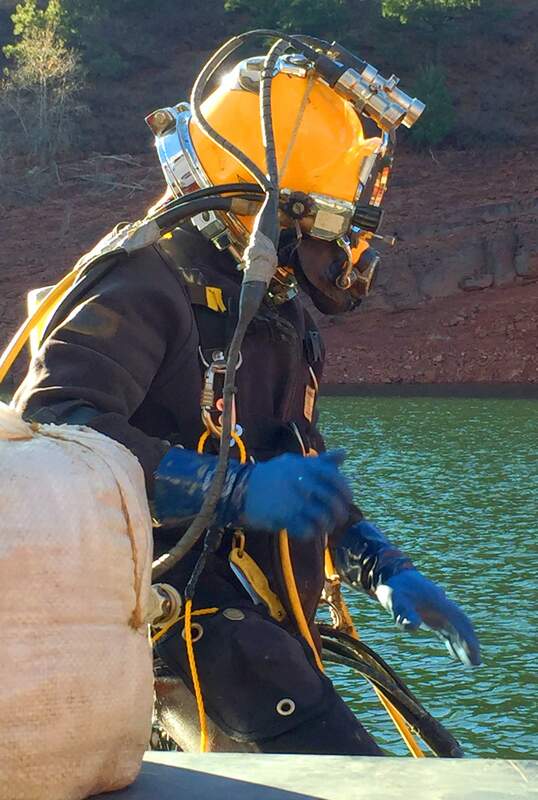 A Ballard Marine Construction diver prepares to enter Lemon Reservoir during the initial phases of the high-pressure gate rehabilitation on the dam. 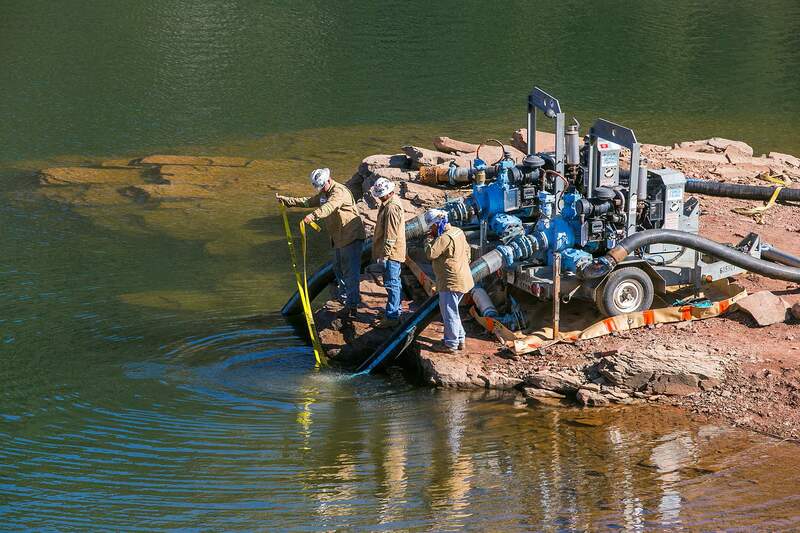 A contract crew pumps water from Lemon Reservoir to the Florida River to maintain flows as work begins on a project to rehabilitate the high-pressure gate on the dam.